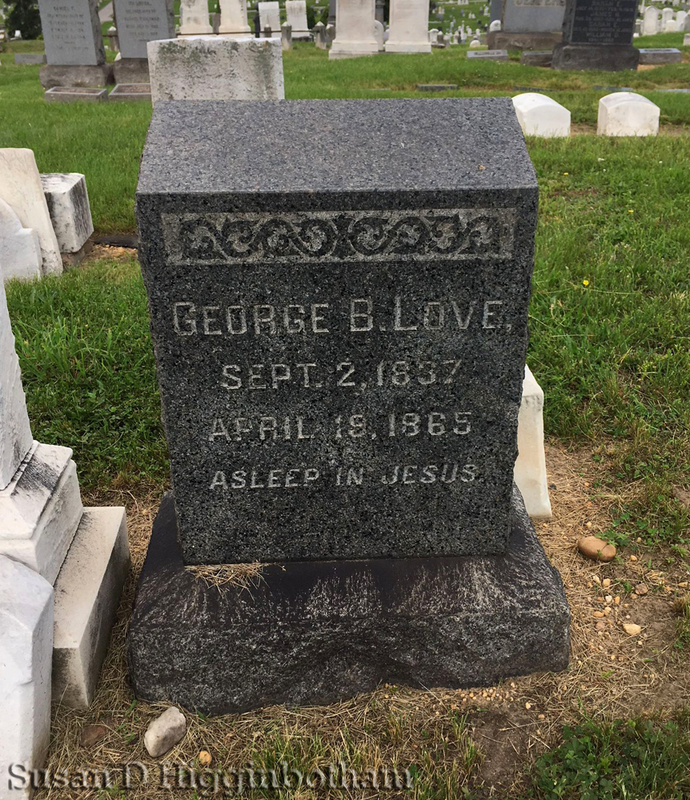 Posted on February 21, 2019 by Kate H.
On select weeks we are highlighting the final resting place of someone related to the Lincoln assassination story. It may be the grave of someone whose name looms large in assassination literature, like a conspirator, or the grave of one of the many minor characters who crossed paths with history. Welcome to Grave Thursday. Valentine’s Day is over. Let’s get back to the craziness. 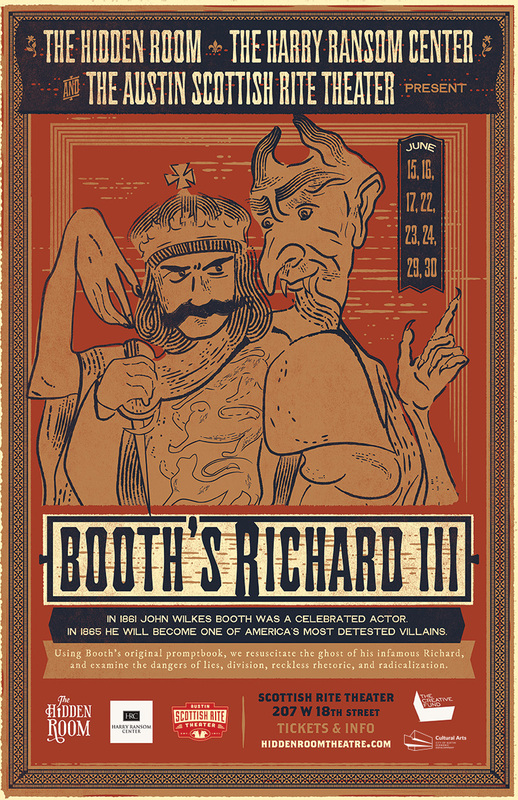 If you were around on Valentine’s Day, you’ll remember that I discussed the harmonious union of Edwina Booth and Ignatius Grossman. 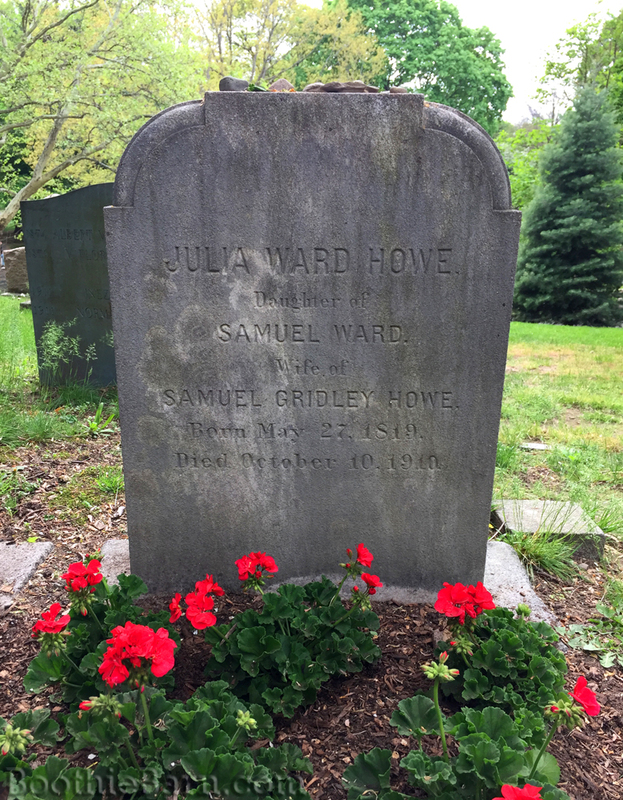 For this Grave Thursday we will examine the life of Edwina’s first fiancé, the harmonious deterrent, Downing Vaux. 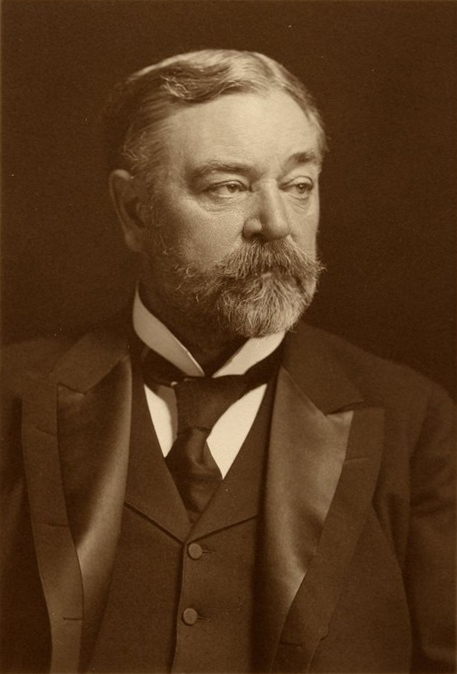 Downing Vaux was born in 1856 to Mary McEntee and Calvert Vaux. The elder Vaux was an English immigrant landscape architect who, among many other achievements, helped design and build Central Park. His first partner was Andrew Jackson Downing, a very prominent figure in the field of landscape architecture. Just a few years before the birth of Downing Vaux, Andrew Jackson Downing was killed in a steamboat fire. Calvert decided to name his son Downing in memory of his late friend and colleague. Downing Vaux often worked for his father’s office, practicing both as an architect and landscape architect. Vaux and his contemporaries filled the need for pleasing outdoor spaces, such as parks and park like cemeteries, in the face of urbanization. 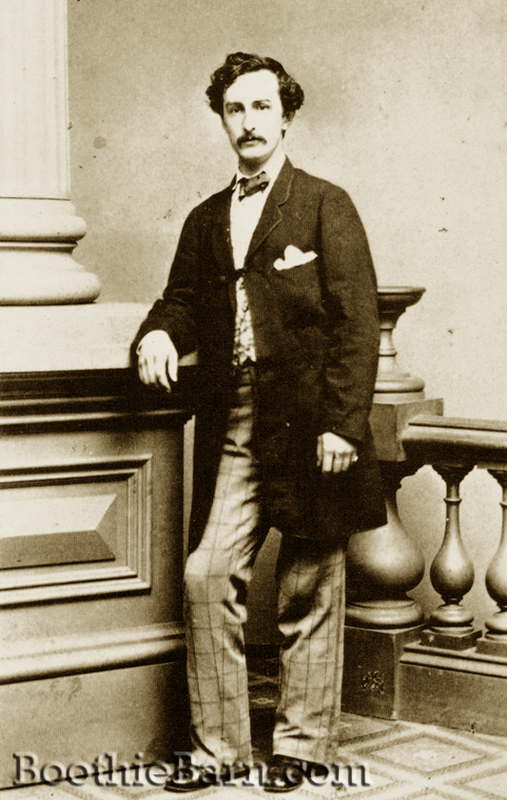 Jervis McEntee, uncle of Downing Vaux and friend to Edwin Booth. The planned wedding between Vaux and Edwina was postponed when Edwina decided to travel abroad with her father in 1882 and 1883. 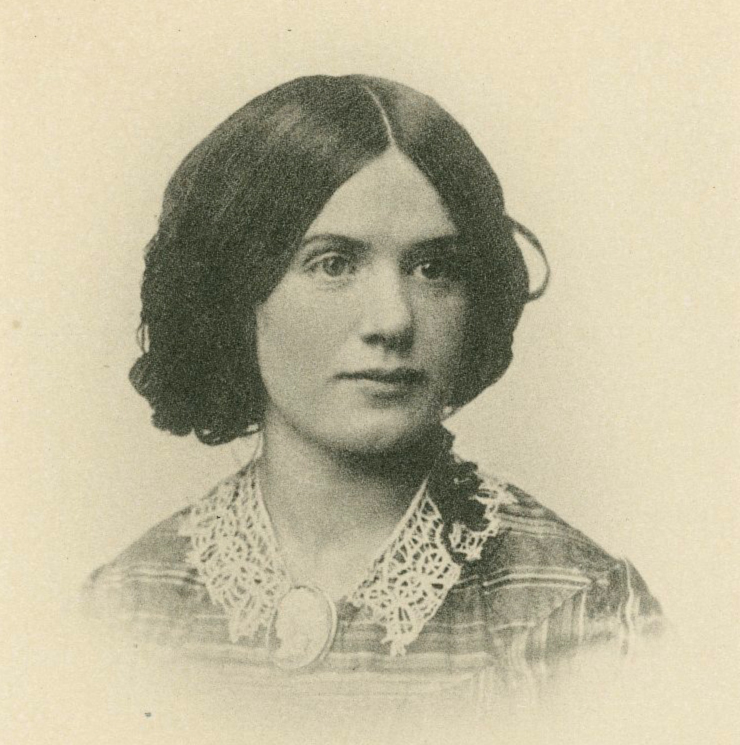 While in England, Edwina received word that Downing, still working in the United States, had almost died. 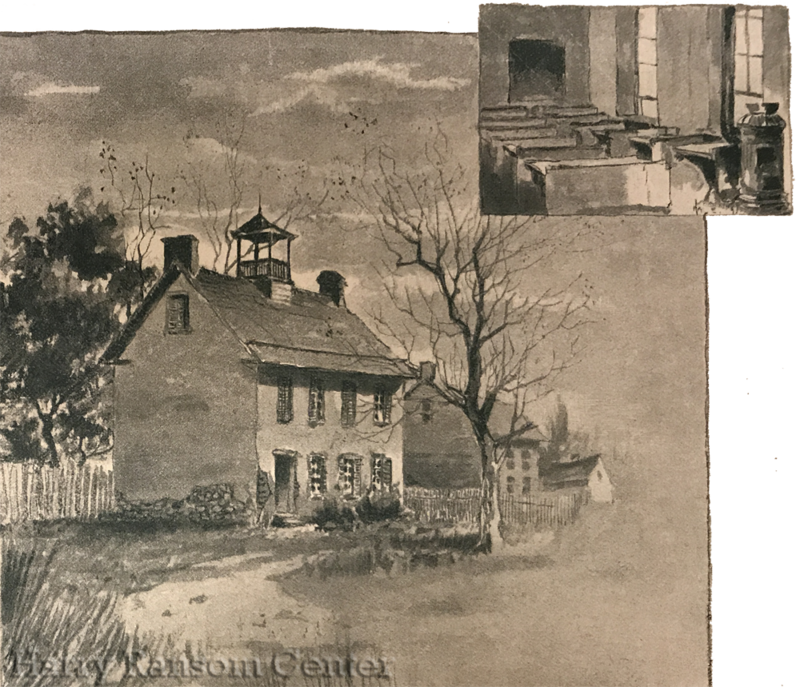 “Calvert Vaux found his son…unconscious in a gas filled room. He had left his gas burning and it had…blown out and the door been closed.” It took Vaux over a day to revive. Edwin received the news first, from Jervis McEntee, and did not tell Edwina for a few days. He felt that “her health is not strong enough to stand the shock.” Although Vaux physically survived his brush with death, his mental health deteriorated and he began exhibiting strange behaviors. Vaux joined Edwin and Edwina in England, where it was hoped that his increasing sickness would be cured. This did not occur. In fact, Vaux’s instability only progressed. His memory failed, his behavior became erratic and he sometimes disappeared for days without warning. A servant reported seeing Downing “around 7 PM washing himself in his room.” However, he was gone by the time his father got there, having left behind “an empty unfired revolver as well as his gold watch and chain and other articles of jewelry.” On May 8th, after waiting outside Vaux’s home all night, the family combed the city for him and his father went to the police fearing, in the words of Jervis McEntee, “that his son’s mind had become unsettled and that he was either wandering aimlessly about the city or had committed suicide.” Vaux returned on the 9th. He had been wandering through the country. Edwin, once supportive of Vaux, began seeing him as mentally incompetent and wholly unsuited for his precious daughter. When Edwina stated that she wanted to end her engagement, Edwin heartily agreed. 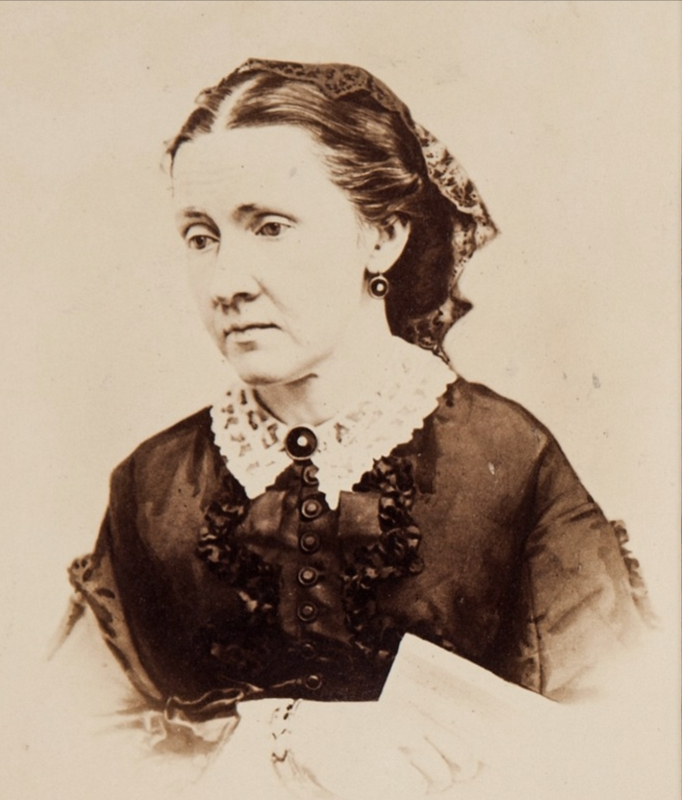 He wrote to Jervis McEntee, “how terrible would be their fate were they married! But I must beg of you Jervy to reason with poor Downing, and make him realize how incapable he is, and may be for years, to assume the responsibility of marriage.” Edwin’s belief that Vaux would never recover, and his subsequent expressions to McEntee, Vaux’s uncle, placed an irremovable strain on their relationship. While Vaux’s newfound condition lost him a life with Edwina Booth, it did not halt all his future prospects. His mental condition (somewhat) improved with time. He began his own architecture firm in New York City, Vaux & Co. He gave lectures at New York University’s School of Engineering. Vaux was also a founding member of the American Society of Landscape Architects and a vocal supporter of the preservation of New York’s parks. Coming full circle, Vaux helped create the Andrew Jackson Downing Memorial Park. In 1893, Downing Vaux wed a widow named Lillian Baker Andrews. Two years later, the couple had a daughter, Priscilla, but she lived just four hours. Priscilla Vaux, Downing’s infant daughter, shares a gravestone with her father. Vaux and Lillian lived together until at least 1911. After that, the couple lived apart for unknown reasons. A census taken in 1920 shows Lillian living in Los Angeles but does not list her as separated or divorced. Despite Vaux’s attempts to outrun his unstable past, his personal demons never seemed to disappear. While the Vaux family wrote off the aforementioned gas filled room incident as mere misfortune, some historians theorize that it was Downing’s first attempt at suicide. Should that be the case, it is likely that Vaux’s mental instabilities were present even before the accident took place. Vaux’s life would eventually end by his own hand, or rather his own feet, when he walked off a roof in 1926. 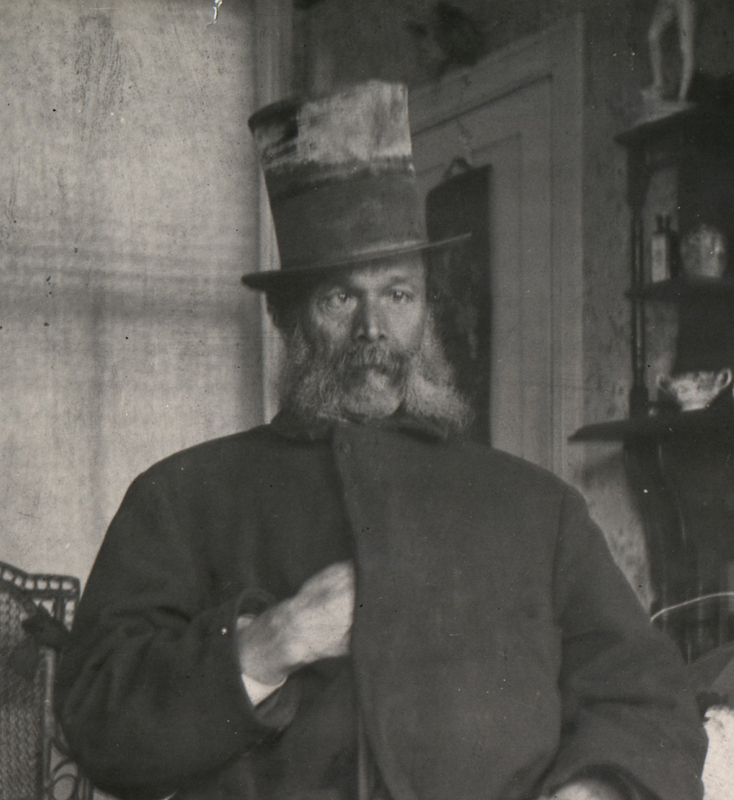 The New York Times reported, “Downing Vaux, widely known landscape architect, was instantly killed in a fall from the roof of the YMCA building early this morning. His body, clad only in his night clothes, was found on the sidewalk by the police.” Other news outlets soon got hold of the story as well. Lillian returned to New York by 1930 and was listed as widowed in the census. She died in 1935. 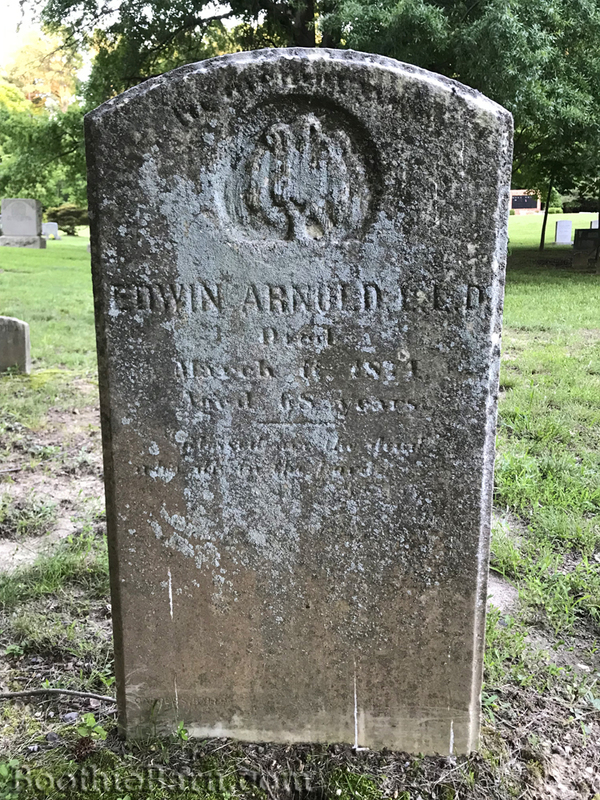 Today, Downing Vaux rests beside his wife and infant daughter in Brookside Cemetery in Englewood, New Jersey in a plot belonging to Lillian’s first husband, Frank Andrews. 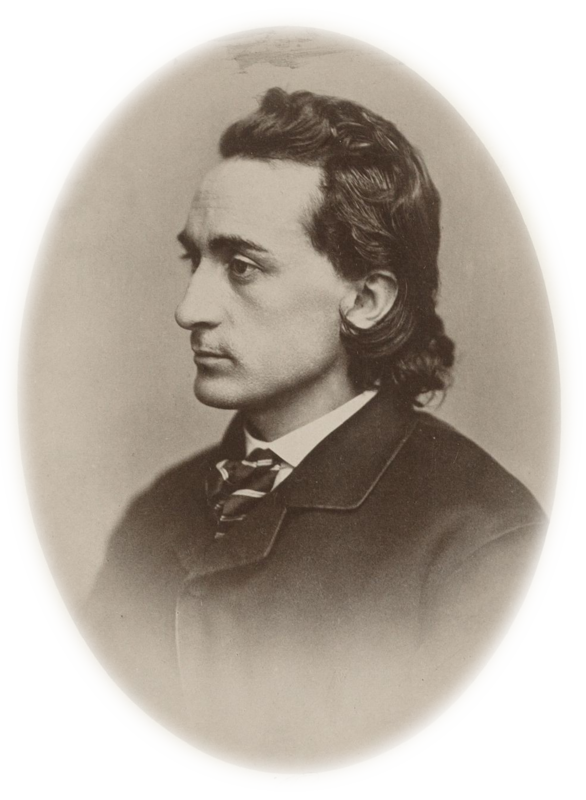 In hindsight, perhaps Edwin Booth’s overbearing tendencies paid off for once – seeing as how Edwina could have ended up with a man who ultimately committed suicide over the husband who wrote her beautiful poetry. And Lord knows the Booth family didn’t need to experience any further tragedy. 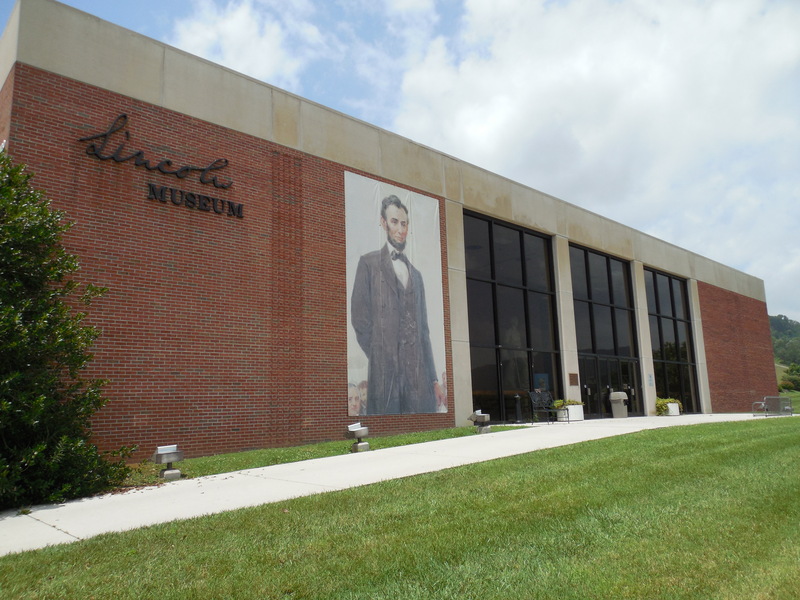 The collection of the Abraham Lincoln Library and Museum in Harrogate, Tennessee contains many fascinating artifacts relating to the 16th President. Among their collections is a cupboard made by Abraham’s father, Thomas Lincoln; a china set owned by the Lincolns in their Springfield home; a lock of Willie Lincoln’s hair taken from his head after his death; and a massive archive of art, books, manuscripts, photographs, and ephemera relating to Lincoln. One of the most famous artifacts in the museum, however, is an ebony cane topped with a sterling silver knob handle which bears the inscription “A. Lincoln”. Compared to modern canes which are mainly used as functional tools to assist in walking and balance, this 35.5 inch long cane owned by Lincoln was solely a fashion piece. Short canes, or walking sticks, were very common accessories for men during the Victorian era. Many men carried canes as evidence of class and elaborate canes were common affectations designed only to impress or convey prestige. 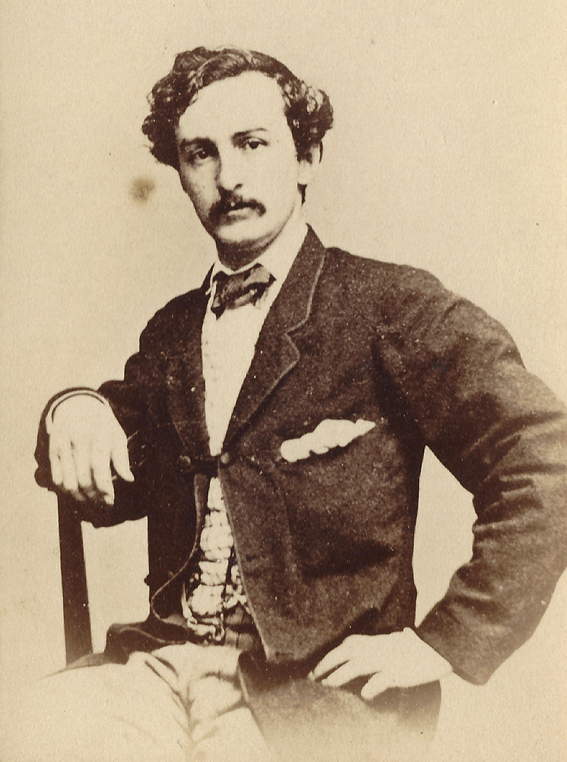 For example, Lincoln’s future assassin, John Wilkes Booth, was often photographed with walking sticks. 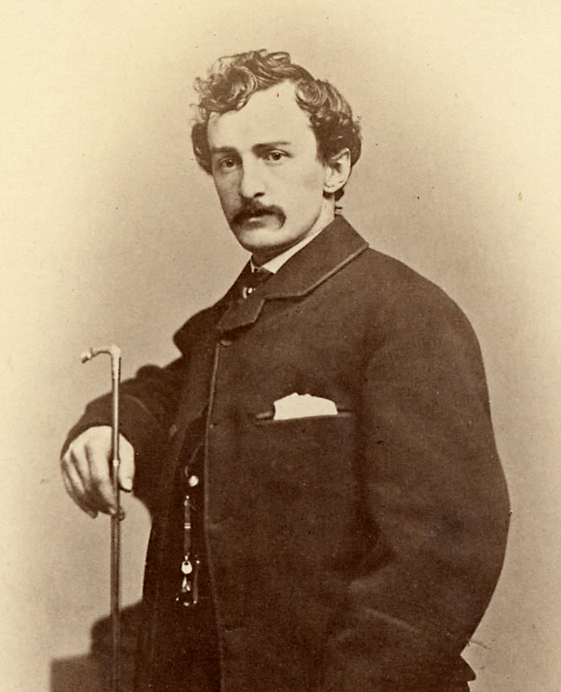 Since Booth would often give out these photographs to friends and admirers, the cane helped to subtlety reinforce his self-image as a member of high society. While Lincoln was not known to crave prestige, canes were also often presented as gifts. Visiting dignitaries often received decorative canes as tokens of esteem. There are many accounts of Lincoln being presented with canes during his career as a lawyer and politician. The question remains then, why is the Lincoln cane at the ALLM one of the highlights of the museum’s collection? What sets it apart from any number of canes that are said to have been owned or presented to Lincoln? Well, this cane is said to have been with Abraham Lincoln when he was assassinated at Ford’s Theatre on April 14, 1865. 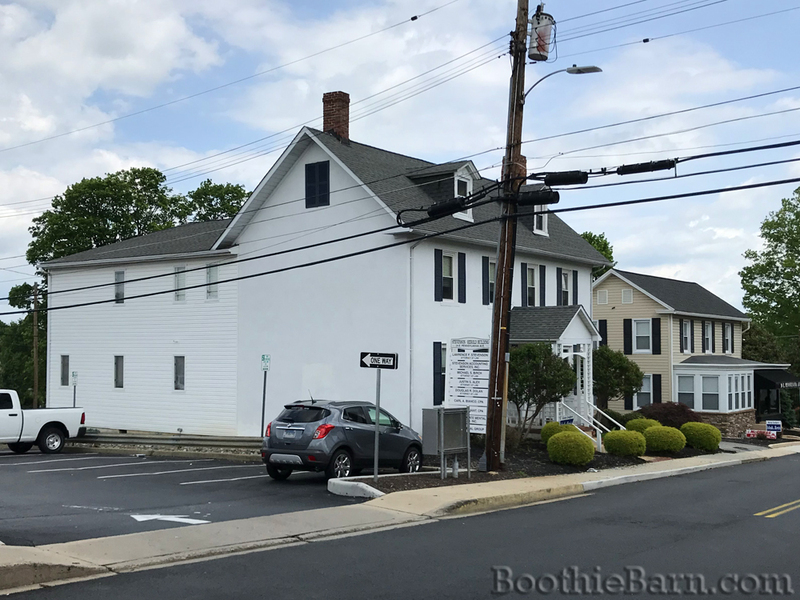 “In 1875 my father, Stephen Mayhew, was the proprietor of a grocery and meat market at the corner of Fifth and Ferry Streets, Troy, N.Y. After school I would often wait on the customers who came into the store. This was when I was about 11 years old. I remember a man and his wife named Phelps trading at the store. Phelps was an actor. He would purchase groceries and meats and then charge them. When his bill amounted to about $40.00 and he was unable to pay he offered father Abraham Lincoln’s cane in lieu of the bill. Father accepted the cane as payment in full. Phelps related how he became possessor of Abraham Lincoln’s cane, saying that he, Phelps, was an actor having a minor part in the play at Ford’s Theatre in Washington, D.C. on the night President Lincoln was assassinated. In the excitement that followed Lincoln’s being shot Phelps entered the President’s box and seeing the cane in the corner where Lincoln left it he picked it up and kept it as a memento. 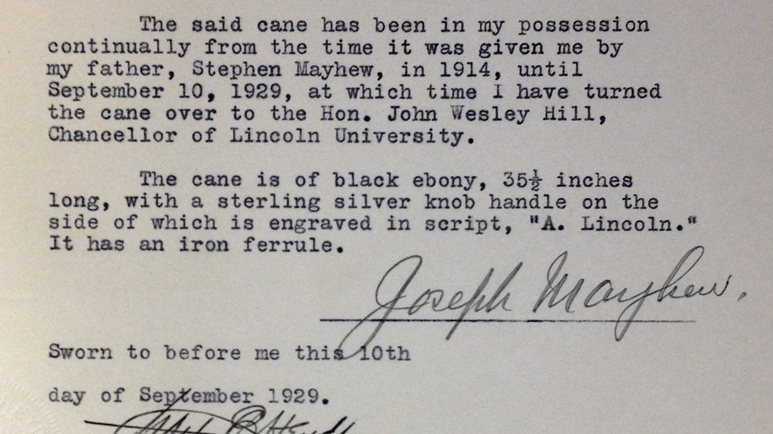 Stephen Mayhew continued to own and display Lincoln’s cane to his friends and neighbors. According to the affidavits, the display of the cane caused jealously among a certain Troy resident who sought to claim the cane as his own. “Some litigation was started concerning the cane, as a man named Kisselberg though he would like to gain possession of it. My father’s interests in the matter were defended by a lawyer named Palmer. After spending some money and time in the courts Palmer caused the cane to be sold at Sheriff’s sale in order that a clear title could be obtained. It was bought in for my father. “At a later date, when it became generally known that my father had the cane in his possession, it was seized by the local authorities. It was kept for a time by the Sheriff of Rensselear County and also in a jeweler’s safe. This jeweler’s name was Kisselberg and his place of business was on River Street in Troy, N.Y.
After recovering his property, Stephen Mayhew continued to own Lincoln’s cane. In 1914, Stephen gave the cane to Joseph. The elder Mayhew died in 1917. 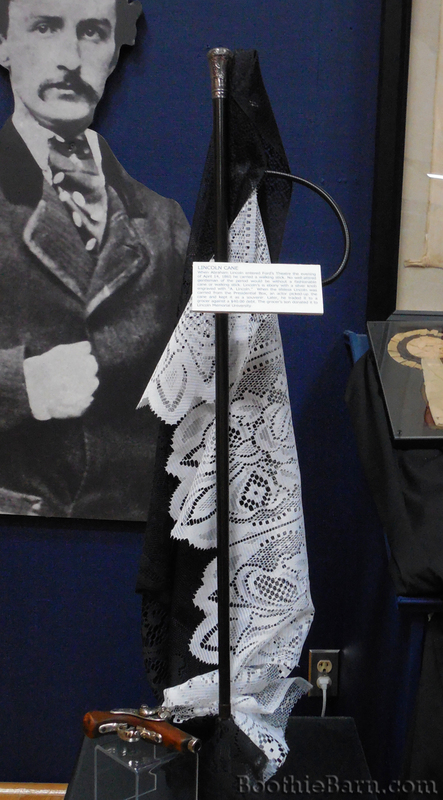 With these two pieces of evidence in hand and a priceless, highly fought over, silent witness in their collection, the assassination cane has been a centerpiece of the ALLM’s collection for years. Recently, I have been looking through my files relating to my own visit to the ALLM back in 2014. Though I was only able to spend a brief period of time researching in their archives, I was amazed at the breadth of their collection. I previously did a blog post about a letter owned by conspirator Samuel Arnold that is in the museum’s collection. In revisiting my files, I decided it would be worthwhile to publish a quick post about the Lincoln cane with the intention of bringing about some more awareness to this unique artifact. After a bit of research into this cane and the provenance behind it however, I have come to an unexpected conclusion. I do not believe this cane was at Ford’s Theatre on April 14, 1865. Near the end of Joseph Mayhew’s affidavit he mentions that when his father finally presented the cane to him, it was also accompanied by, “a copy of ‘The Trojan Observer,’ a newspaper dated Monday, January 26, 1880, and published at Troy, N.Y. 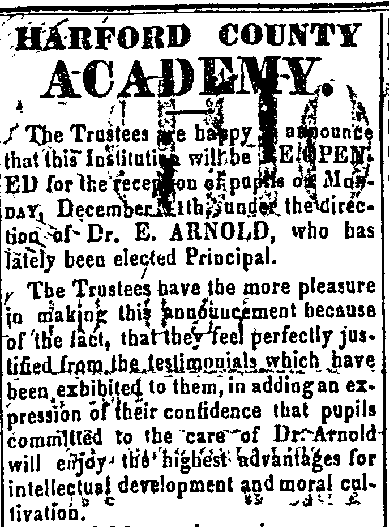 This newspaper contains an account with reference to the Lincoln cane.” It turns out that the seizure and legal battle concerning the cane was a newsworthy event. The local Troy papers talked about the recovery of the cane and how it would, undoubtedly, be returned to Robert Todd Lincoln. The story of Lincoln’s cane was reprinted across the country. 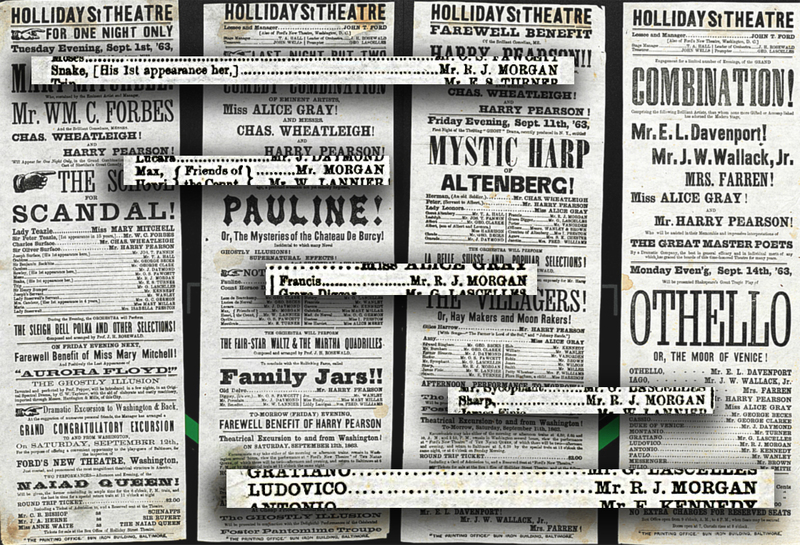 The newspapers, likely getting their information from Stephen Mayhew, reported that the man who recovered the cane was named A. R. Phelps, the stage name of actor Alonzo Raymond Phelps. This name concurs with the Mayhew children’s statements years later. 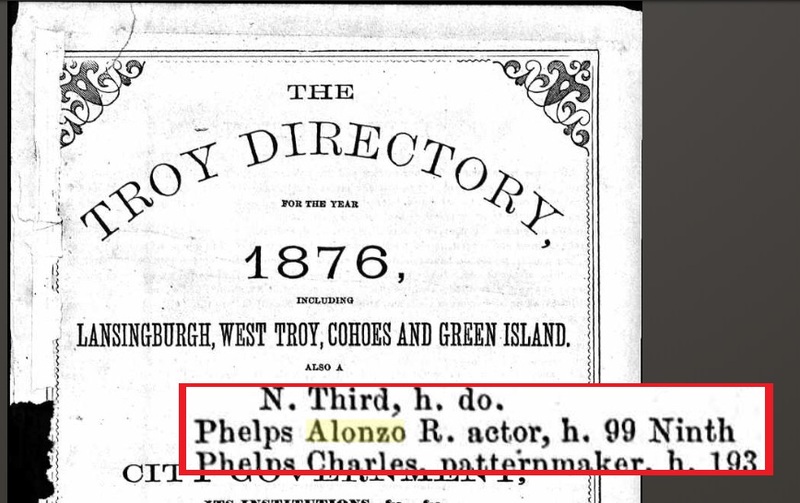 Also helpful to the Mayhews’ statements is the fact that Alonzo Phelps, for a brief period of time in the mid 1870s, did reside in Troy, NY as evidenced by his inclusion in a Troy city directory. From this point onward, however, the evidence against the cane’s provenance begins to add up. 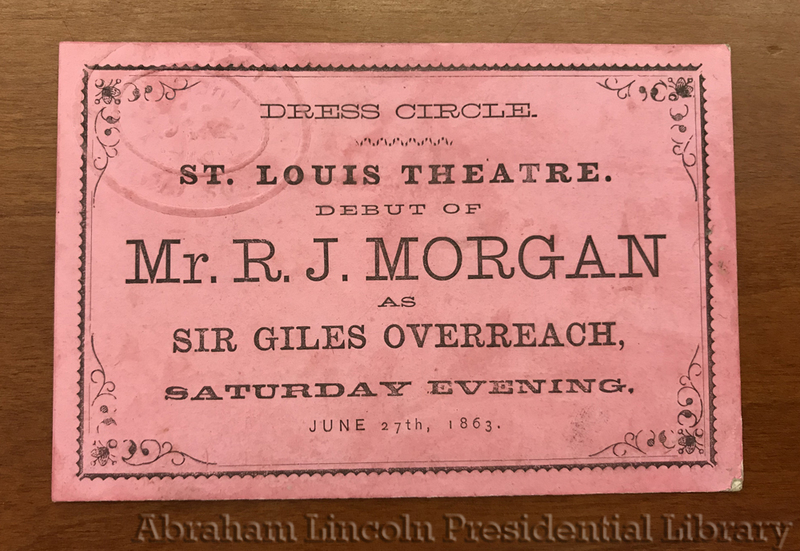 By consulting Thomas Bogar’s impeccably researched book, Backstage at the Lincoln Assassination, one finds that Alonzo Phelps did not perform in Our American Cousin at Ford’s Theatre that night. He was not part of the Ford’s stock company and was not a member of Laura Keene’s visiting troupe. The idea that Phelps was acting at Ford’s Theatre on the night of Lincoln’s death is not supported by the evidence. 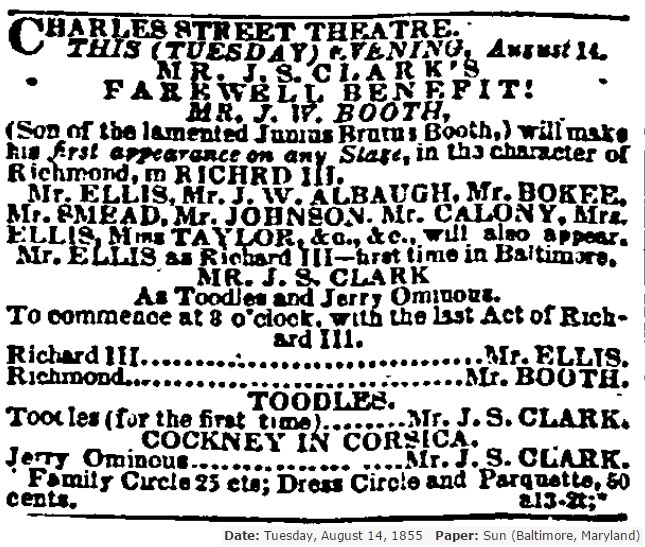 The question then becomes, if Phelps did not perform at Ford’s Theatre that night, was it possible for him to be there in the role of an audience member instead? Unfortunately, that does not appear to be likely. 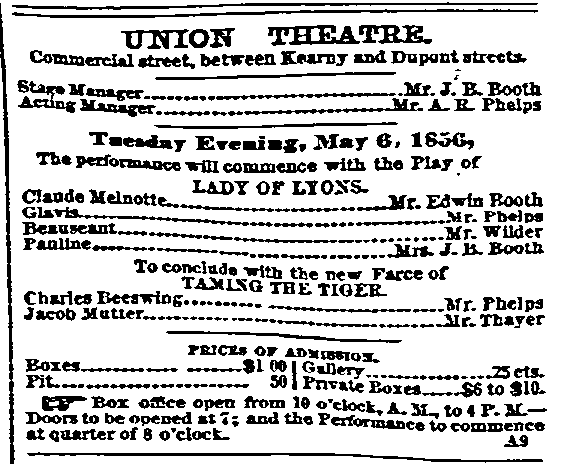 The entry for A. R. Phelps in the 1870 edition of Brown’s History of the American Stage states that, “in 1854 [Phelps] sailed for California, in company with the Denin Sisters, where he opened in ‘Love’s Sacrifice,’ on April 10 of that year. 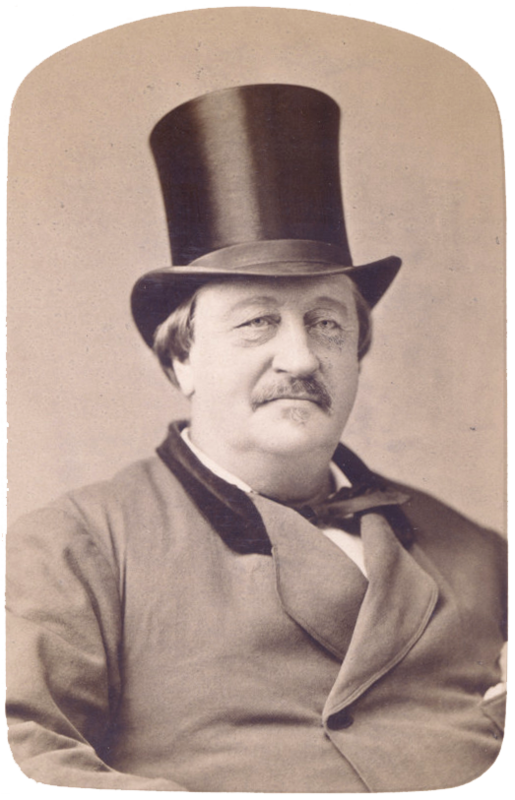 He remained on that coast, playing through California, Oregon, Nevada, etc., until 1866, when he took the overland trip to New York.” Further research demonstrates Phelps’ long residence in California where he worked as both an actor and a theater manager. 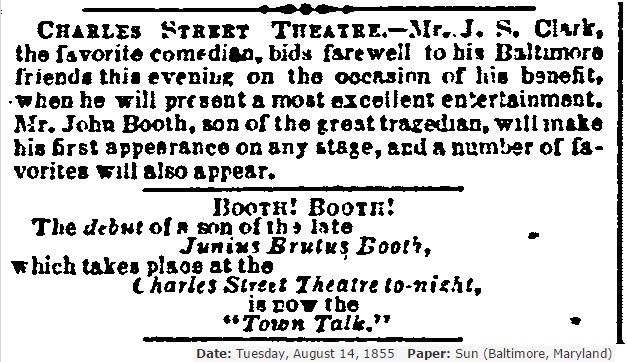 In 1856, for example, A. R. Phelps and fellow actor Junius Brutus Booth, Jr. leased the Union Theatre in San Francisco. 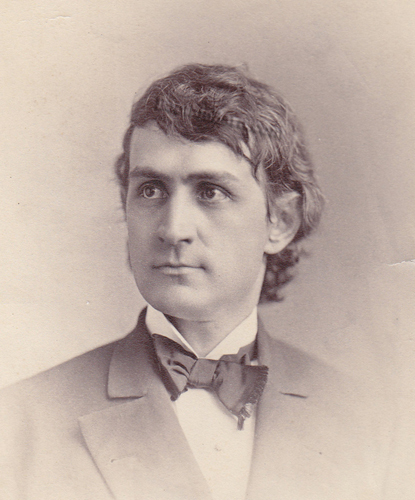 Among the actors the business partners brought in that season was June’s younger brother, Edwin Booth, who was just beginning his starring theatrical career. Phelps stayed in California during the course of the Civil War and the evidence indicates that Phelps was likely still in California when Lincoln’s assassination occurred. In addition to the entry in Brown’s History of the American Stage which states that Phelps did not return east until 1866, we also find A. R. Phelps’ name in the 1864 and 1865 city directories for San Francisco. 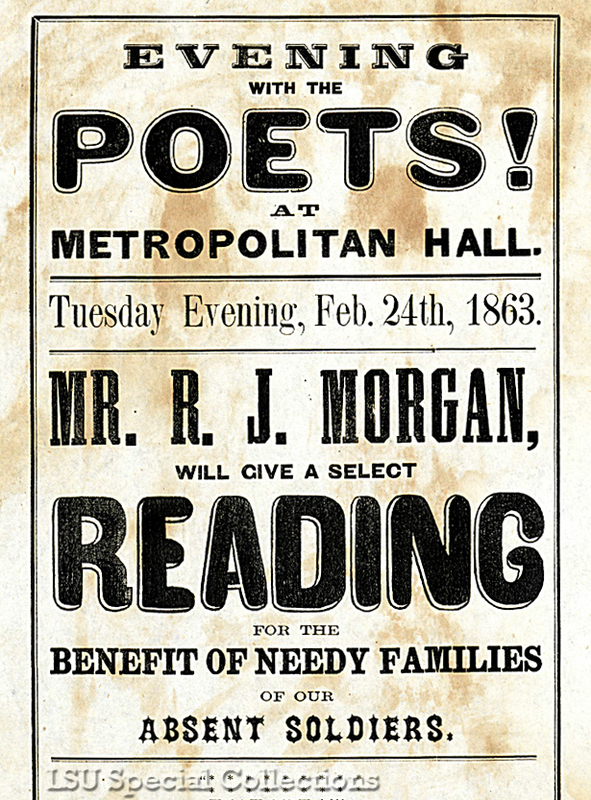 Newspaper advertisements also indicate that he was performing at the Metropolitan Theatre in San Francisco as late as March of 1865. With the journey between San Francisco and New York lasting about a month in those days, it is extremely unlikely Phelps was on the correct coast when Lincoln was assassinated. The bulk of the evidence points to him still being in California when Lincoln was killed. “Many years ago, when President Lincoln was a poor lawyer in Springfield, Illinois, he carried about with him a plain ebony cane, with a silver ferrule, marked ‘A. Lincoln.’ The cane may have cost $5. If accurate, this article paints a very different story as to the circumstances surrounding Alonzo Phelps’ attainment of Lincoln’s cane. 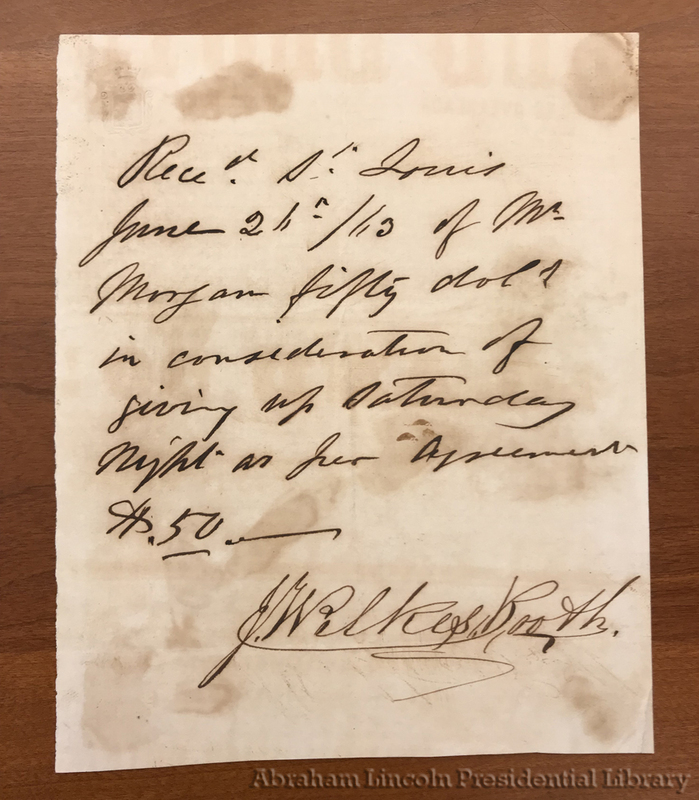 Rather than having retrieved the cane from the President’s box at Ford’s Theatre, Phelps is said to have received the cane as a gift from a restaurant proprietor in Washington on an undetermined date. In addition, the article claims that the cane was one purchased by Lincoln himself while living in Springfield and given away by the living Lincoln when he received a different one in Washington. While the article does not provide any sources for the history behind Lincoln’s cane, it is clear that at least some research was undertaken in its reporting. 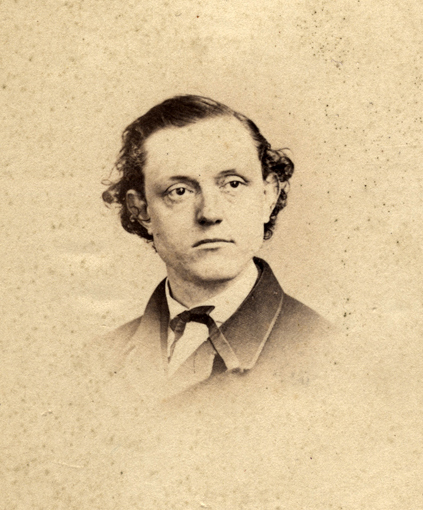 The article gives the circumstances of Phelps’ residence in Troy in the mid-1870s stating that he was the theatrical manager of the Grand Central Theatre. 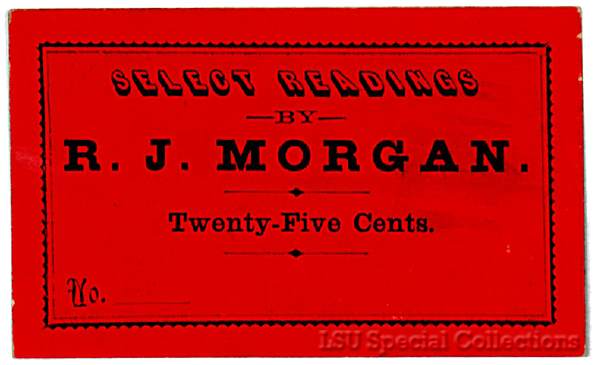 This appears to be backed up by a January 20, 1877 article in the New York Clipper which announced that Phelps was to receive a complimentary benefit at the Grand Central Theatre. According to this article, Robert Todd Lincoln was taking an active role in the recovery of his father’s cane. 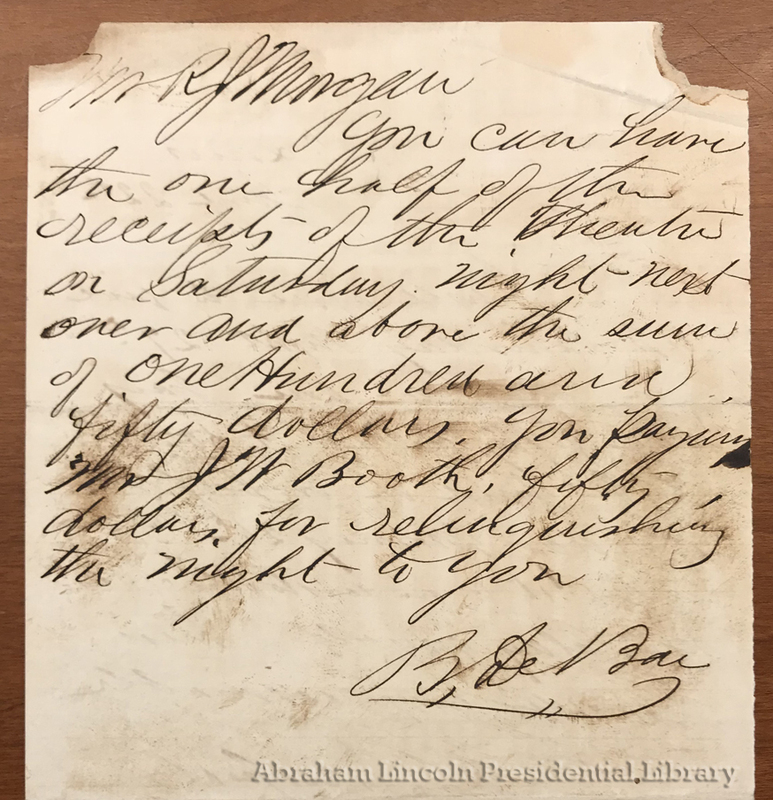 This is in contrast to the Mayhews’ statements which claim the seizure of the cane was brought upon by a jealous and covetous neighbor and that it was a letter by Robert Lincoln which allowed them to retrieve the artifact. After some further digging, however, it appears that neither set of these circumstances are true. “The story about the cane is queer. I think I should have remembered any such events as are described in it if they had occurred, and I do not. I do not think there is a word of truth in the story. I do not own any cane ever possessed by my father, and I never took any interest in any such cane. He never used a cane himself at all. At various times in his life there were presented to him canes. I remember such things, but he never cared anything about them, and gave them no attention. I think it is true that after his death my mother gave away to servants some canes which had come to him in Washington, for which none of us had any regard whatever. Such canes may be in existence, but they possess no real interest in connection with my father. 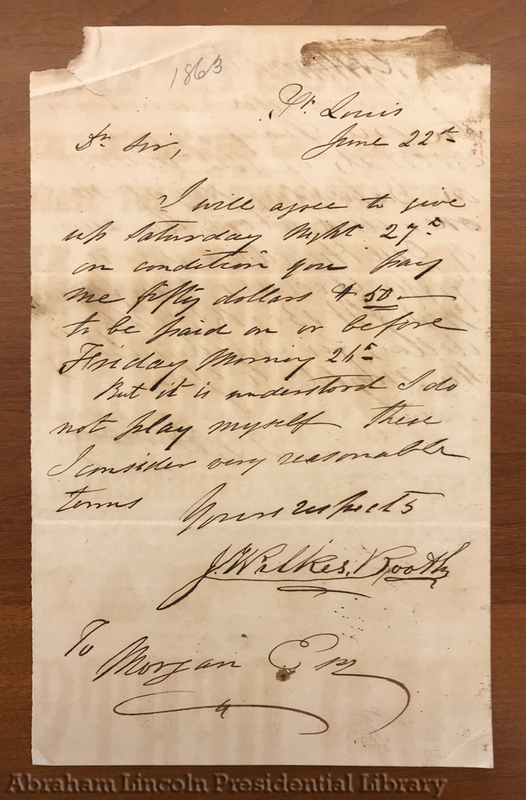 In this letter, Robert Lincoln makes it clear that he never had any involvement regarding a cane belonging to his father. This is in contrast to both the newspaper articles and the affidavits from the Mayhews. Nevertheless, Robert Todd Lincoln is a more reliable source on these matters than the other two and his statement must carry the most weight. We are left with an “assassination” cane whose provenance is full of holes and half-truths. Each piece of the story can be broken down into categories of likely and unlikely. It seems likely that Alonzo Phelps gave Stephen Mayhew a cane in exchange for a debt the actor owed the grocer. This piece of the story is consistent across all sources and there is evidence that places Phelps in Troy during the applicable time period. It seems highly unlikely that Alonzo Phelps retrieved the cane from the President’s box at Ford’s Theatre on the night of Lincoln’s assassination. Evidence proves that Phelps was not performing at Ford’s Theatre in direct contradiction to the claims of the Mayhew family. 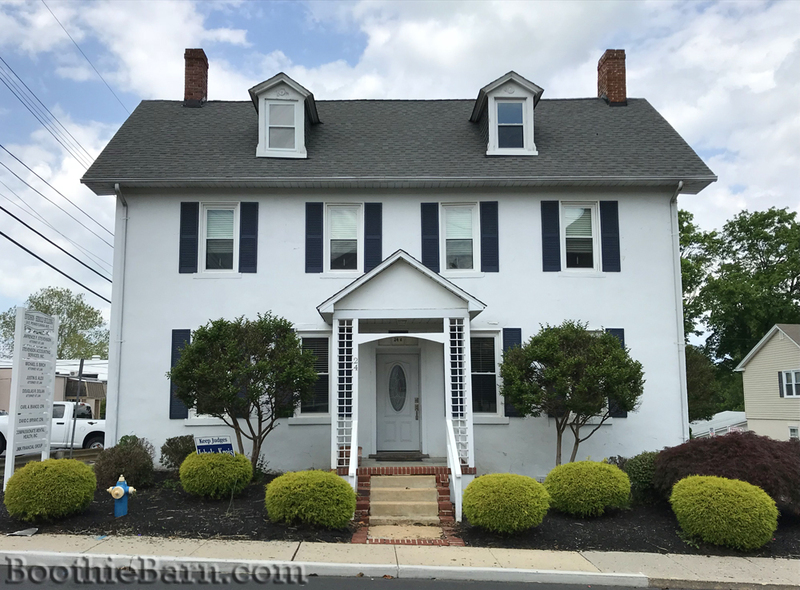 Given Phelps’ established residence in California up until March of 1865, it seems incredibly unlikely that he was even in Washington, D.C. that fateful night. It is unlikely that this cane was even carried by Abraham Lincoln to Ford’s Theatre on April 14th. For this point we have two pieces of evidence. The first, and admittedly weaker, piece of evidence is Robert Lincoln’s assertion that his father did not regularly carry a cane. Since Robert was not a witness to his father’s assassination, this piece alone does not prove much. However, there was an eyewitness to Lincoln’s assassination who publicly disputed the idea that Lincoln carried a cane with him that night. 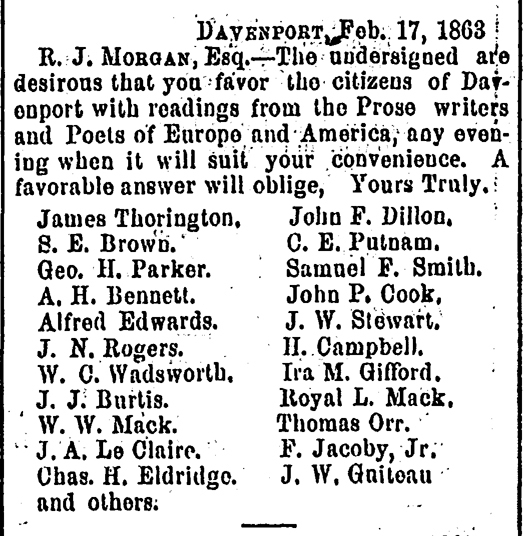 After the story of Lincoln’s cane was published across the country in 1880, a brief retort was published in Washington, D.C.’s the Evening Star. The article stated, “The story telegraphed from Troy about the recovery of a cane stolen from Mr. Lincoln’s box in the theater on the night of his assassination, is pronounced by Mr. Charles Forbes, who was an usher at the White House at the time, to be false, as Mr. Lincoln had no cane with him.” Though the brief article failed to mention it, Charles Forbes was far more than just a White House usher. 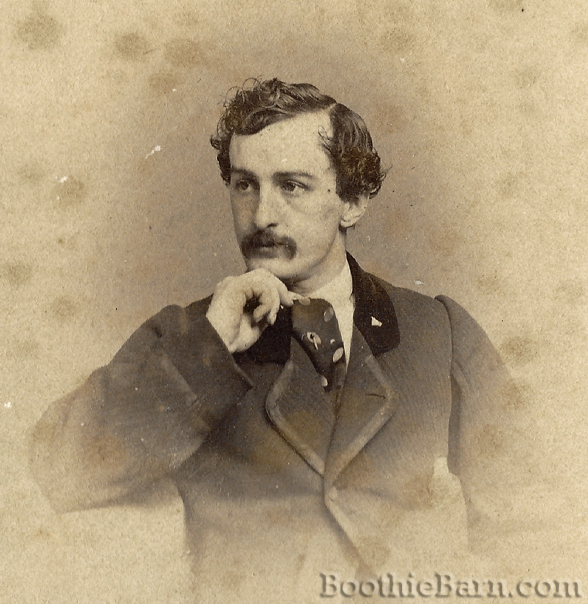 Forbes had accompanied the Lincoln party to Ford’s Theatre that night and he was the one sitting outside of the President’s box when John Wilkes Booth approached. Booth presented Forbes with a calling card of some sort and Forbes allowed Booth entry into the box. Forbes is a very reliable witness in this matter and his claim that Lincoln had no cane with him that night is further evidence against the cane’s reported history. Charles Forbes, the man who sat outside of Lincoln’s box and allowed John Wilkes Booth to enter. He denied Lincoln carried a cane that night. After looking at all of the evidence, I do not believe the “assassination” cane held by the ALLM was ever with Lincoln at Ford’s Theatre on April 14, 1865. The most likely history of this cane, in my mind, was largely laid out by Robert Lincoln. We know that Abraham Lincoln was presented with many canes during his lifetime. The Lincoln Financial Foundation Collection contains an entire file folder of clippings relating to Lincoln canes. In addition to ones gifted to him, Lincoln himself was known to present canes as gifts. In 1864, for example, 19 silver headed ebony canes were purchased by the government and presented to the 19 governors of the Pueblo tribes in New Mexico. 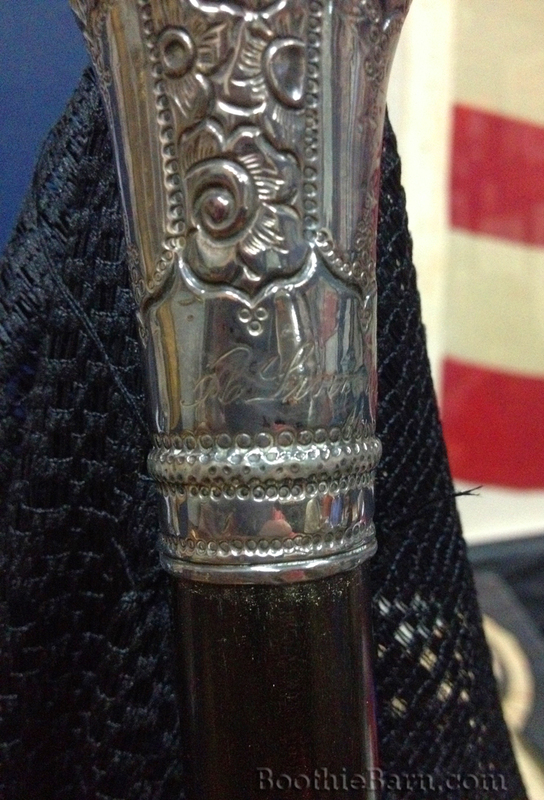 Each of these canes were engraved with the name of the governor and also the name of the President “A. Lincoln”. In his letter, Robert Lincoln mentions how, after his father’s death, Mary Lincoln gave away canes that had been presented to her husband. I believe a situation similar to this likely occurred with the cane at the ALLM. Somehow, perhaps from a restaurant owner in D.C. as the newspaper account stated, Alonzo Phelps acquired a cane that had, at one time, been owned or presented to Abraham Lincoln. Phelps cherished the cane until he was forced to part with it in Troy in the 1870s to Stephen Mayhew. Over time, either through outright lies or faulty memories, the story of the cane morphed, giving it a far more dramatic backstory. Lincoln Memorial University was more than happy to acquire this unique piece for their growing Lincoln collection and the two notarized statements from the Mayhew children were provenance enough in the 1920s. However, with the help of modern tools and resources, we can more deeply investigate the provenance behind artifacts like the Lincoln cane. While such investigations may lead to disappointing conclusions, like the debunking of a cherished Lincoln artifact, the process is an important part of evaluating and reevaluating what we think we know about the past. Asia Booth Clarke was the chronicler of the Booth family. In a few hours from this posting, Kate will be up at at Tudor Hall to give her first of two talks this year about Asia and her writings. The basis of Kate’s speech is the collection of letters Asia wrote to her life long pen pal Mary Jane “Jean” Anderson. As Kate put the final flourishes on her speech, I decided to put together this animated .gif showing some of Asia’s words from her letters to Jean. Asia’s original letters to Jean are housed in the Maryland Historical Society in Baltimore. If you are not able to make it to Kate’s speech this time around, she will be at Tudor Hall to give it again on October 8, 2017.